You cannot but agree that there is hardly a person who can imagine his life without the Net these days. It provides us with more convenient communication, easy access to knowledge, and so much more. Undoubtedly, the Internet has made our life easier in many ways. At the same time, our data has become less private. This results in the necessity to be extra careful on the Web. Today not only big corporations but an individual user as well must take steps towards Internet privacy by hiding his IP address from prying eyes. Every time you connect to the Internet, all your logs are recorded and kept on the servers you want to connect. In this regard, it’s extremely vital to use special tools that can help to avoid monitoring and stay private and anonymous online. For checking a virtual location a person should use such services like What’s my IP, they usually show a city, region, country, ISP and location on the map. What are the main tools to make your information on the Internet private? Let’s see. A proxy server is a computer that “sits” between two servers. 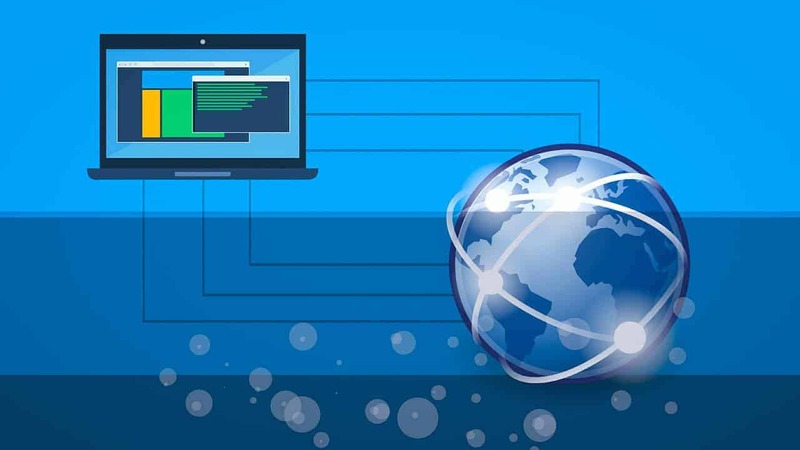 With a proxy server, your computer connects to the desired server indirectly. This way, the website “see” not your real IP address but proxy’s one. The main advantage of proxy servers is that they support open access and can be used completely free of charge. There’re a lot of websites on the Internet which provide the lists of free proxies. In general, proxy servers are efficient for IP restrictions or bypassing geo-blocked content. However, they just intercept traffic on a per-application basis and don’t encrypt user’s data. Tor is a multi-proxy network that uses the connection of volunteer-operated network servers. This is the best tool for staying anonymous online. A data path of your traffic is never the same as Tor uses more than 5000 ways to send a data request. All these make Tor number one tool for criminal activities. Slow loading times is another drawback of Tor. In spite of these facts, Tor is still used by prudent Internet users all around the world for gaining anonymity on the Web. A Virtual Private Network technology was initially developed for employees of big companies, who worked remotely and had to transfer data privately. Today VPN providers are available for all Internet users. Setting up a VPN client takes several minutes. Moreover, most of the modern VPN servers have user-friendly applications that run on all popular platforms. A VPN provider assigns you a virtual IP address which will be used for your online session. This virtual access can originate from a different location and country. It makes a VPN a perfect tool to get past geo-blocking while traveling. Today it’s extremely vital to change your IP address as it is one of the best security measures that can protect your data against leakage. The only thing you need is a trustworthy tool that will shield your IP address from hackers or other malefactors. Remember that your activity on the Internet is nobody’s business but yours.